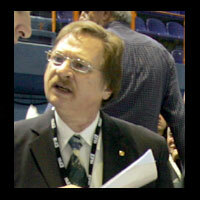 Swiss EHF Delegate passed away on Thusday at the age of 60. Heinz Sigg, teacher by profession and former referee, has served the European Handball Federation as a delegate since the first EHF European Cup season in 1993. Sigg was a reliable colleague who took care of fair play during his entire career in European club competitions and at national team games. Sigg was active in the ongoing season with his latest nomination in Austria just two weeks ago. He was to carry out his duties in Israel over the upcoming weekend, but his unexpected death took him away from serving the game. The European Handball Federation expresses sincere condolences to the family of Heinz Sigg.